The Times Herald-Record posted an amazing investigative package this week that combines excellent use of Flash with top-notch video to bring a compelling story to life online. 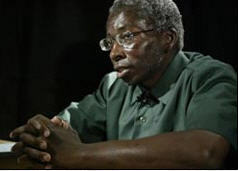 Multimedia producer John Pertel and investigative reporter Christine Young collaborated on the story of Lebrew Jones, a man who may have been wrongfully convicted of murder 20 years ago. 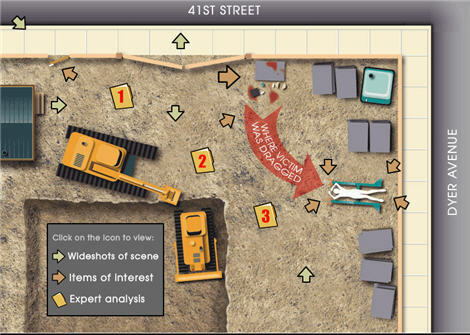 One of the most engaging features of the online package is the interactive map of the crime scene, created in Flash. Users can click to see photos of the scene, descriptions of evidence, and video interviews with a forensic analyst. The videos throughout the package are excellent and that’s no accident. Pertel and Young are TV news veterans, and it shows. They’re comfortable constructing stories with narration and on-camera segments, so the pieces are easy to watch and understand (if you can call any stories about a brutal murder easy to watch). The team also took advantage of online’s depth to provide more details and data than they could in the paper. In addition to the obligatory timeline, Lebrew James’s original videotaped confession is online, as are the autopsy report and evidence list.